Strongly promoted by Google, they are quickly being adopted by big companies and sites all over the world. Everything points to them as the next big thing for the mobile web. But, what are Progressive Web Apps, exactly? A Progressive Web App (PWA) is an emerging solution that delivers the same native experience and performance than a mobile app without the hassle of installing it, just using the web. In other words, think of a Progressive Web App as a website on a regular mobile browser that acts like a native mobile application. 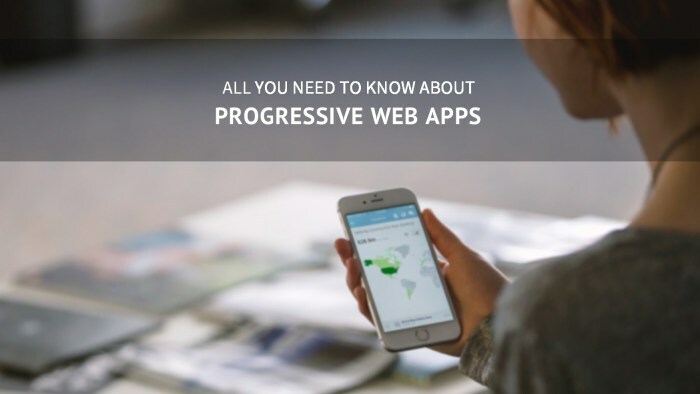 Progressive Web Apps combine the strengths of mobile apps and the mobile web to create user experiences that are fast, integrated, reliable, and highly engaging. These are basically the four pillars of the PWA technology, according to the latest Chrome Dev Summit Conference. Let’s go over them in detail. This is all about making your experience fast and keeping your users’ attention. As per the “The Need for Mobile Speed” report, 53% of visitors will abandon a mobile site if it takes longer than 3 seconds to load. This is half of your users gone. So yes, mobile speed matters a lot. And the mission of Progressive Web Apps is to get on screen as fast as possible to keep users engaged with your site. “PWAs respond quickly to user interactions with silky smooth animations and no janky scrolling.” – Google. Recent advancements have enabled Progressive Web Apps bring much of the functionality of native apps to the mobile browser experience. They allow users add web apps to their home screen, play media, and even receive push notifications, among many other things. The purpose of this is to provide a great experience across all devices. Web experiences should not feel any different from experiences that are built on native platforms. They both should be natural for the users to interact with and integrated with the device capabilities. BookMyShow, the largest ticketing firm in India, developed a Progressive Web App to improve the user experience on mobile and got an 80%+ increase in their conversion rates. According to a case study run by Google, their PWA takes less than 3 seconds to load and enables checkout within 30 seconds. “Mobile users come to expect sites to just work, regardless of flaky wifi or poor mobile reception” – Trivago. When users visit your mobile site, they just expect it to work. However, user experiences can be easily undermined by unreliable networks and connectivity issues. Progressive Web Apps aim to be reliable even with interrupted mobile connections. This means that if your visitors go offline during their session, they will have the ability to continue accessing the site. Intermittent networks frustrate users and result in failed sessions and transactions. The mission of web apps is to never hit a dead end, so offline support is an essential requirement. There are a lot of companies, such as Instagram and Twitter, that have precisely developed their PWAs to use less data and work offline for areas with limited connectivity. This way they ensure an instant and reliable experience for their users. 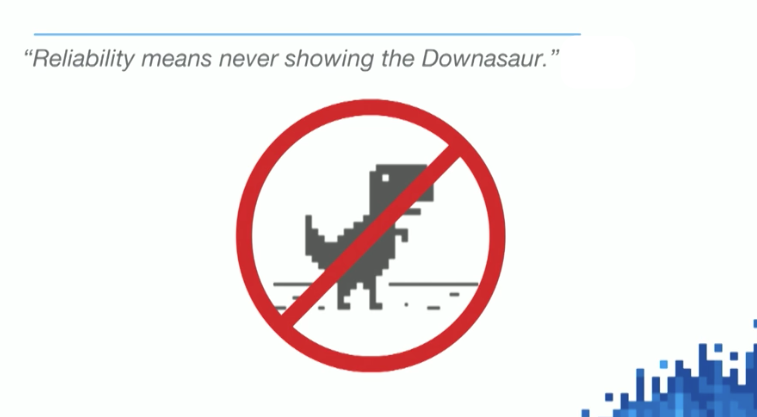 “Reliability means never showing the Downasaur.” – Chris Wilson. An engaging Progressive Web App loads fast, feels like a natural app on the device, and makes it easy for users to do what they need to do (even under uncertain network conditions). So basically, the pillars that we have mentioned above they all lead to engagement. And engaged users are willing to stay longer on a site. A PWA provides personalisation and ensures the whole experience is delightful, which results in more advertising revenue and better conversation rates. A great example of an engaging experience is Trivago’s PWA. It provides a fast and easy interface for the travellers to read reviews, compare prices and book a particular hotel. But also allows them to consume some content when they are offline, receive push notifications, and quickly add the PWA to their home screen. The results? Trivago saw a 97% increase in overall conversion. You can see a demo of their PWA in the following video of the Chrome Dev Summit Conference. PWAs are easier to discover, always up-to-date, use less data, and take less storage space if we compare them to mobile apps. Their reach is truly massive because they use the web to deliver user experiences. Billions of people use the web constantly, everywhere, no matter the device. There are no barriers to try out the experience. If we talk about numbers, Progressive Web Apps have also many benefits. They can be a great business move as they grow engagement, increase conversions, page views per session, returning visitors, and decrease bounce rate statistics. There are a lot of case studies that talk about these stats. 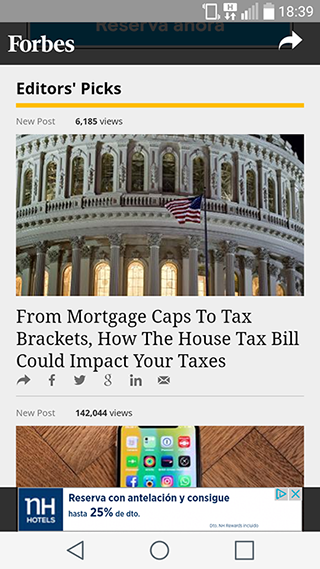 The media company Forbes, for example, turned its mobile site into a Progressive Web App last January. They wanted to improve user experience with faster load times and highly visual content. Now, its PWA takes 2.5 seconds to load (instead of 6.5 seconds of the previous mobile site), which has resulted in more page views and duration per session. Since 2008, mobile apps seemed to be the way to go. They were the best way to deliver content and services with native experience and performance. But today, web app technologies are quickly closing the gap between native and web features. The above results and case studies make it clear why PWAs are becoming the new standard for web interactions. Will they be the future of mobile?